Burlington's Off Center for the Dramatic Arts was established to provide an affordable venue for individuals and small theater groups in the area, and it's handily served that purpose for nearly five years. But to date the modest black-box space in the Old North End has been just that — a venue for rent. It is not a performing arts organization that schedules a regular season and sells tickets in advance. For theater aficionados and general supporters of the Off Center, this is great news. The rest of you might be thinking, Burlington has 13 theater groups? Indeed it does, and more — albeit some of the consortium members are solo performers. (See full list of participants below the jump.) The Off Center's very existence has helped to foster a small theater community, and efforts such as local actor/director Seth Jarvis' Playmakers VT open-reading evenings have further encouraged writers, directors and actors to come out of the woodwork. The next step? Growing the audience. Chris Caswell suggests that the collaborative work of OC @ OC will help to do that. Its members have talked about "what are the steps we can take to make this a theater town?" Caswell says, then answers her question: "by producing more original work, collaborating and helping each other." Part of the goal, she adds, is "getting to a place where a lot of us are doing [publishable] work." Organizing creative types is not easy, the actor acknowledges. Not everyone has the same needs or is at the same place in their development as theater artists. But Caswell says that variety, and the growing number of participants, is exciting. "We're all getting in the same room together more often, with a wider group and more input," she says. "I feel like the answers are there and we will find them." 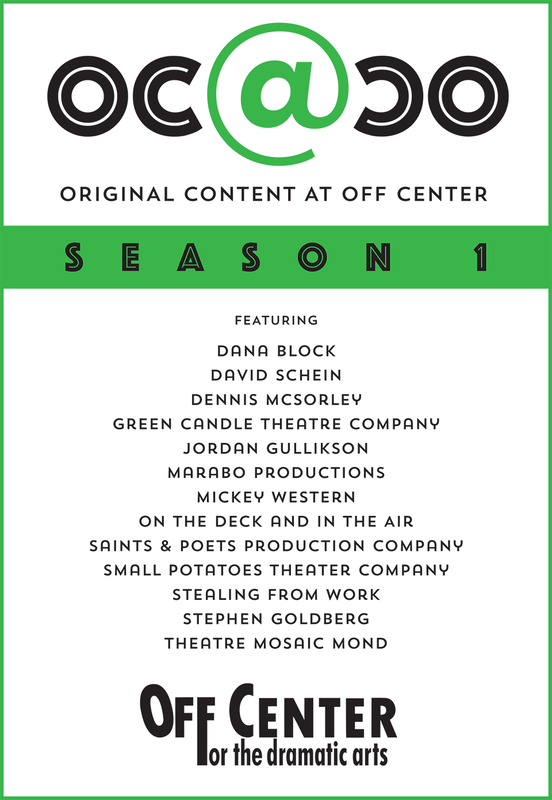 Though OC @ OC is just getting off the ground publicly — and Caswell says "we're doing a lot of figuring it out as we go along" — she is confident that a new season of original work will take place this coming year. "We will all pitch in to help the season take place," she vows. "The more we can build the Off Center's reputation as a place where new and experimental work happens and grows," Caswell adds, "the more people will want to be part of it." *Font designer Alec Julien designed the OC @ OC logo; coincidentally, he was the subject of a recent article in Seven Days. Is Burlington ready to become a theater town?